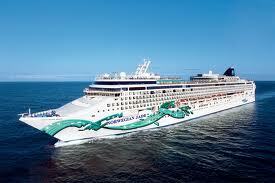 We're off on an extended spring break vacation, starting out in Barcelona and doing a cruise of the Mediterranean. I hope to do a lot of reading, sightseeing and relaxing, and I'll see you all when I get back! There is something about books with mysterious, rambling old houses that hold secrets that has always captured my imagination. It's amazing how you can start out with a creepy or fantastical old house and end up just about anywhere. There's the house in The Old Willis Place by Mary Downing Hahn (which I'm reading right now) - that's a creepy one, with horrible secrets. And there's the house in The Treasures of Weatherby by Zilpha Keatley Snyder, which she calls her "big, old house story to end all big, old house stories" - which is something, coming from a writer who delights in mysterious, big old houses. There's The House with the Clock in Its Walls by John Bellairs, delightfully spooky and unusual. There's Thornfield Hall in Jane Eyre. And, of course, the most memorable haunted house ever, a character in its own right, featured in several books by the amazing Nina Kiriki Hoffman, including A Stir of Bones and Red Heart of Memories. 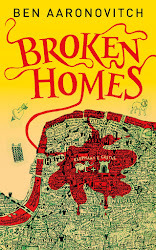 So, when this book opened with eleven-year-old Olive moving into a mysterious old house, one with paintings permanently attached to the walls, paintings that seem to change a little every time she looks at them - I knew it was going to be good. Olive is a bit of a loner, a definite non-math-whiz whose parents eat and breathe and make totally lame jokes about math, and now she's living in a neighborhood without any other kids in it. But the paintings in the unusual old house are interesting, even if they're a bit spooky. When she discovers an old pair of glasses and puts them on, they enable her to pass over the threshold of the paintings and go into the paintings themselves - and in doing so she discovers a malevolent presence with a mysterious dark purpose. She encounters Horatio, one of three cats who belonged to the old woman who lived in the house before them. He seems surprisingly intelligent, but even so, Olive is dumbfounded when he opens his mouth and speaks to her. The adventure is on, and Olive is thrust into a world where nothing is as it appears, and she cannot be sure whom to trust. 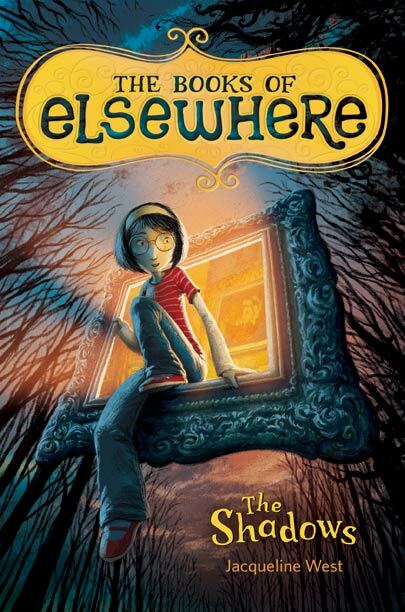 This is a fun middle grade read, full of action and peril, secrets and surprises. I loved that it is Olive (who feels just a bit insecure about herself because of her ineptitude with math, compared to her parents), who uses her intellect and creativity to figure out a way to save the day. Olive's parents are a bit too conveniently oblivious, perhaps, but of course the fun typically begins when the parents get out of the way. 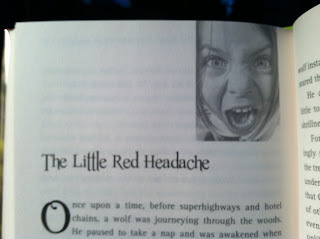 The illustrations that accompany the text are marvelous, as you can see. They convey the perfect mix of whimsy and dark mystery that embodies this book. I brought this book home from the library because the cover was so appealing (yes, I'm superficial that way - aren't we all? ), and my ten-year-old daughter picked it up and started reading before I had a chance to get to it. She enjoyed it so much she kept disappearing with it, so that I had to hunt her down and ruin her fun, making her do her homework instead. And she urged me to read it, too, and I'm certainly glad I did. We are both looking forward to the next book in this imaginative series, which is due to be published (in the U.S.) this summer. 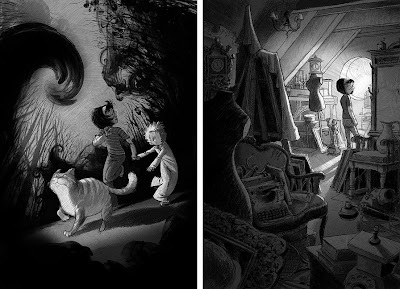 What's your favorite story featuring a mysterious big old house? Beyond Books: "I was captured by Olive and the big mysterious house almost instantly. The people and worlds in the paintings had me nervous and excited all at the same time. Who was watching? What was all this about?" 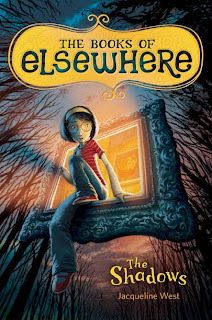 One Librarian's Book Reviews: "The writing was fantastic, with some great metaphors throughout that really brought it to life." Sassymonkey Reads: "There’s fun. There’s mystery. There’s just enough scary bits to hold a younger person’s attention but not enough for it to be too scary. 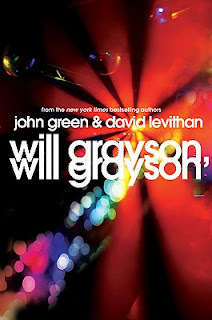 This is one of the few MG series that I think I’ll actually follow." 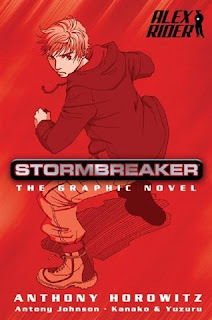 This graphic novel is a retelling of the original first Alex Rider novel, Stormbreaker, by Anthony Horowitz. I picked this up because the Alex Rider novels are incredibly popular among kids and teens at the public library where I work, and I was wondering what all the fuss was about. I figured the graphic novel would be a good, quick way to get a taste of the series. 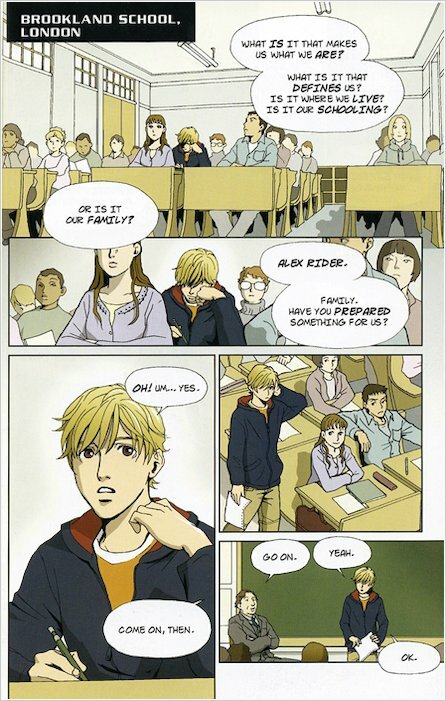 The story is about teenager Alex Rider, who lives with his uncle and an attractive and talented young housekeeper, a woman named Jack. As the book opens, we see Alex's uncle, who appears to be a James Bond-type of super secret operative. Alex believes his uncle has a supremely boring and uneventful job at a bank. But when his uncle dies in the course of his job, Alex begins to discover that everything he believed is wrong - and that his uncle had actually been training him, with all the martial arts and world language classes, to become an operative, too. The group his uncle works for recruits Alex to go under cover and infiltrate the company of a man they believe is hatching a diabolical scheme. Alex is initially skeptical, but in the end he decides to help out, and much action, adventure, and hair-raising excitement ensues. I can definitely see the appeal of this series to teens. As an adult reading it, though, I did not manage to suspend my disbelief very well. It seemed patently absurd that a group of experienced operatives would see no other way to achieve their goal other than throwing in a teenager, giving him some admittedly cool gadgets, and hoping for the best. There was spy cliché after spy cliché - to the point that it had me laughing. We see the gigantic Portuguese man-of-war in the massive aquarium in the villain's house, as the villain gleefully informs Alex, "Killing rare animals is one of my hobbies...but not this one. This one I had to keep." Guess who gets tossed into the man-of-war tank later on? Yup. One thing like that happens after another - and a series of convenient coincidences, interspersed with spy-movie clichés, leads us to the helicopter/bombs in schools all across America/dangling from the top of a skyscraper finale. It's a lot of fun, but nothing I could really take seriously, and with such little character development that I found it hard to really care what happened. It seemed so unbelievable to me that the villain could find that many sociopaths to work for him - they had no qualms at all about killing millions of children all over the country, simply to for the villain to take revenge on people who had taunted him at school. Really? Despite my personal misgivings about the book, I will of course recommend it to teens looking for a fun and exciting read. The story is definitely fast-paced and full of interesting adventure, along with twists and turns that may surprise less experienced readers. The artwork is vibrant and colorful, and it makes the action sequences very clear. There are some intriguing questions left unexplored, which should make readers eager to pick up the next book in this series - and for those who want to know more details Alex and his adventures, there are the text-based novels, as well. 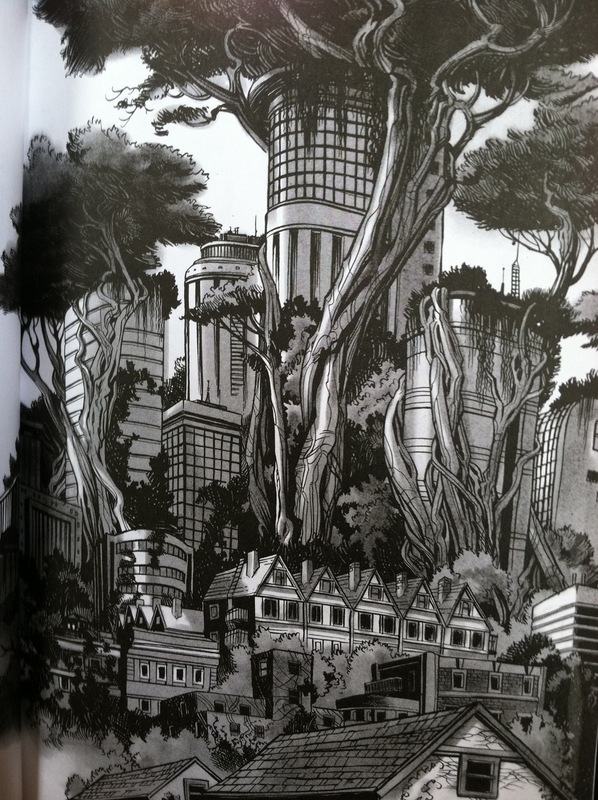 ArtSeblis: "I liked the artwork, which looked like it was a fusion of manga and Western art." Miss Huang's Top Reads: "it has a rocketing plot, its characters hold your attention, and the illustrations merge perfectly with the text to tell the story." I have become so addicted to the audio version of books by Terry Pratchett that, while I own plenty of paper-and-ink books from the series, I've taken to listening to them exclusively. My very favorite Pratchett narrator is Stephen Briggs, but unfortunately he hasn't (yet!) read every single one. 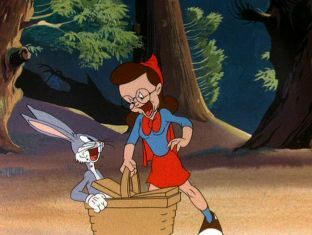 This one is narrated by Nigel Planer, who does a pretty good job (although I didn't quite get why he gave Ginger such a caustic American accent in this one - it didn't seem, to me, to fit her character). There is something that just makes my day all-around brighter when I have a Discworld novel going on my iPod - it's like having a parallel world just waiting for me to slip into, whenever I have the time. I love it! This one opens up with the death of a little old man who is some sort of guardian living in an isolated place on the beach called Holy Wood. Death (it's always great when he makes an appearance. In a Pratchett novel, that is) shows up, and it becomes clear that the old man is the last of the guardians, who has no apprentice to follow him, and with his death, something awful is going to happen, all over again. What is that something? Well, it has to do with the alchemists, who have figured out how to do make the Discworld's version of movies. 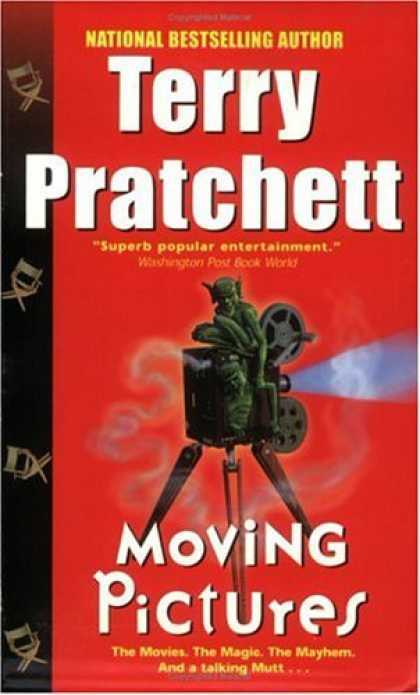 With the death of the old man, ideas come sweeping up the isolated coast and across the countryside into Ankh-Morpork, and as the technology (using imps to record images) advances, people are mysteriously compelled to go to Holy Wood. Suddenly a town bursts into life, full of wannabe actors waiting for their big chance, and Holy Wood producers filming all kinds of stories that might seem twistedly familiar to movie fans. Victor, a drop-out wizard from Unseen University, shows up and becomes a Holy Wood sensation overnight, starring in action/adventure films with his co-star Ginger, and although he is swept up in the movie business, a little voice tells him that something isn't as it should be. The voice in his head is joined by the caustic voice of a talking dog - and so the adventures begin. This one is funny, particularly for movie buffs who will be delighted at the many allusions to classic films and film-making in general. The characters are classic Pratchett, and the narrative is sure to have readers laughing along the way. It wasn't my favorite Discworld novel - the pacing felt a bit bumpy, and while the characters were certainly interesting and likable, did not feel the strong emotional connection to them that, for instance, I feel with the Tiffany Aching books and some of the others. Terry Pratchett at his best is unbelievably amazing, and when he's not quite at his best, he's still head and shoulders above just about anyone else. I'm thoroughly enjoying my journey through this most excellent series, and I have already picked up the next book, Reaper Man, from Audible.com. We'll see how long I can hold out before I get started on that one. It will be a very sad day for me when I finally finish this series. Thank goodness there are so many books, so I can simply start all over again. A Book a Week: "This book is extremely enjoyable, the pacing is quite good, the book is very clever and the characters are thoroughly excellent, vintage Pratchett." The Wertzone: "...whilst still entertaining, funny and enjoyable, there's also the feeling that Pratchett simply came up with a cool idea and let it meander around for a bit aimlessly rather than being really fired-up and inspired by the concept." Is anyone else trying to lose weight? Want to join me? 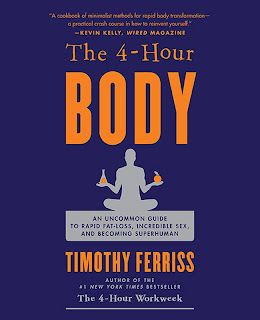 I started the diet program in Timothy Ferriss's 4-Hour Body book last week, and so far, so good. I lost 4 pounds last week, and half an inch on my waist. One of the things that the book talks about is that, if you can get someone to do the diet with you, it's more likely that you'll be able to stick to it and lose the weight you're aiming for. The diet is not easy - no grains of any kind, no cheese, no sweets, etc. But - and this is huge! - you can eat whatever you want, as much as you want, for one day a week. This splurge day tells your body that there isn't, in fact, a famine, and keeps your metabolism moving. Check out the book for more information. I haven't read it all yet, but what I've read has been fascinating. If you are curious, you can check out my first post on my new diet/food related blog, Diary of a Carbslut, which tells a little bit more about the diet. It would be fun and inspiring to have others join me - on whatever diet or method you're using. We can give each other support and cheer each other on. If I can do this, anyone can. Please stop by and let me know if you're interested! I've never followed a diet from a book in my life, but I have high hopes for this one. 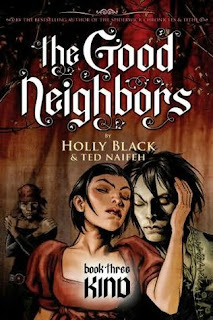 This is the third and, I believe, final volume in The Good Neighbors graphic novel series. 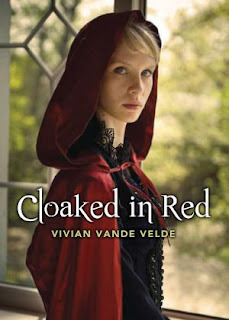 It's a wonderfully entertaining and evocative story about a half-human, half-faery teen whose world is irrevocably changed, and she must decide how to rectify things while trying to be true to both sides of her heritage. The brooding, monochrome artwork is beautiful and suits the story perfectly. If this sounds appealing to you, check out my review of the first book, Kin, in order to avoid potential spoilers that may follow. I was disappointed to find that, unlike with the second book in this series, there is no convenient "What happened before now" section to refresh readers' memories. I finished book two in November of 2009, and I have read literally hundreds of books since then, so a refresher would have been nice. At any rate, the action picks up where it left off, and it all came back to me as I read. Rue's grandfather's plans have, at least partially, come to pass, and the city is now a strange sort of hybrid world of human and fey. Humans are scared, and some of the fey denizens are violent and terrifying. A war is brewing, and Rue feels caught in the middle. She begins to realize that, despite the massive changes that have happened, her grandfather's plan is not complete. Can she complete it - in a different way, perhaps, that might set things straight? With so many fey and human elements set against her, it doesn't seem possible. I thoroughly enjoyed this series, and the conclusion was bittersweet, but it felt right. Rue grows a whole lot along the way, and she becomes a strong, honorable heroine that is fun to root for. This is shelved in the teen section at my library, but there is plenty of crossover adult appeal as well. It may be a bit dark and violent for the youngest graphic novel fans, but I'd have no problem with either of my children (ages 8 and 10) reading this. I love the availability of wonderful stories featuring strong female heroines these days, and this is one to happily add to the list. 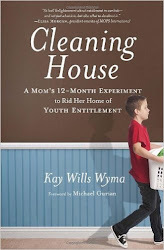 Have you reviewed this book on your blog? Let me know, and I'll link to your review.